"When people are in a 'swarm,' they aren’t people." Every year since 2009, writers, critics, and literature lovers have been flocking to the Austrian region of Wachau for the European Days of Literature. 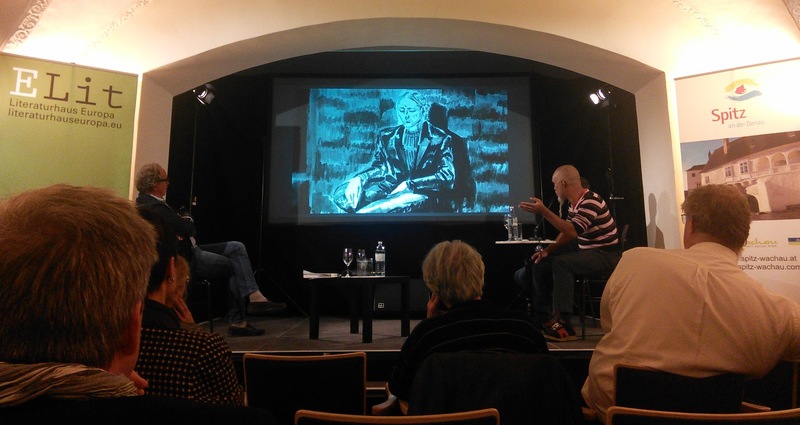 Late this October, I was fortunate to spend three glorious autumn days surrounded by vineyards in Spitz and Krems on the Danube, to talk about all things literary and listen to authors read from their works, all liberally sprinkled with local Grüner Veltliner. Literature was center stage throughout—and there was a perfect balance between readings, panel discussions, informal chats and the picturesque setting—no wonder many of the participants have been coming year after year. The overarching theme of this year’s gathering—The Migrants (Die Ausgewanderten)—was chosen with a view to discuss the ways European literature has been changing through and along with the increasing migration of authors. Little did the organizers know that the symposium would take place at a time when migration dominates the media headlines as thousands of desperate refugees risk their lives to cross the Mediterranean and trek through Europe seeking sanctuary, putting the old continent’s humanitarian values, tolerance and unity to a test and threatening the very foundations of the European Project.